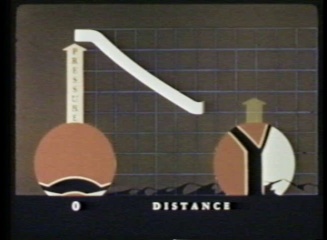 Operation Tumbler-Snapper consisted of eight nuclear shots in two phases. 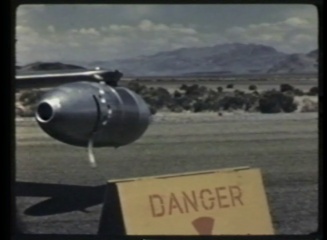 The Tumbler phase was of primary concern to the Department of Defense, which called for air dropped nuclear weapons tests. The Snapper second phase was a set of experiments conducted by the Atomic Energy Commission and the Los Alamos Scientific Laboratory to help improve effects of nuclear weapons. Able, an airdrop event on April 1, 1952, produced a yield of one kiloton. One of the experiments involved an analysis of the shock waves produced by the detonation. 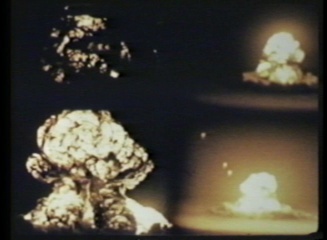 The Baker blast on April 15, 1952, with a one kiloton yield, also produced weapons effects data. The news media was invited to view the Charlie nuclear detonation, a first at the Nevada Proving Ground. They watched from "News Nob," about seven miles away. Also, approximately 2,000 Army personnel, including paratroopers, conducted maneuvers beneath the mushroom cloud. 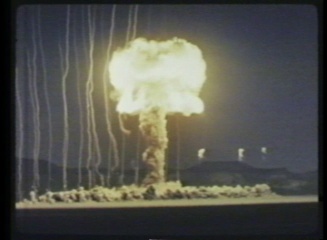 The 31-kiloton explosion on April 22, 1952, was one of the largest ever conducted in Nevada to that date. With the 19-kiloton Dog shot on May 1, 1952, the Marines got their turn at a nuclear exercise. They loaded into their trucks and drove toward ground zero until intolerable radiation levels forced them to abort the mission. 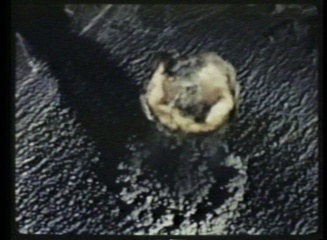 The Easy shot of 12 kilotons on May 7, 1952, provided scientists the opportunity to record photographically the birth of the blast measured in milliseconds. That is all the time scientists had before entire top of the tower was consumed by the fireball. The sixth shot, Fox, was an 11-kiloton weapons development related test watched on May 25, 1952, by about 1,000 military observers from a distance of 7,000 yards. 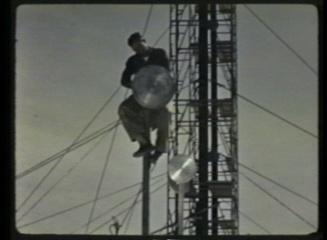 The soldiers were conducting radiation monitor training. A military display area filled by jeeps, tanks, machine guns, and artillery pieces was established almost under the shot tower, and all of the hardware was demolished.